The IEEE Product Safety Engineering Society (PSES) targets professionals and engineers interested in all aspects of product safety. The IEEE Product Safety Engineering Society addresses safety engineering for equipment and devices used in the scientific, engineering, industrial, commercial and residential arenas. It allows engineers and other technical professionals an opportunity to discuss and disseminate technical information, to enhance professional skills, and to provide outreach to engineers, students and others with an interest in the field. 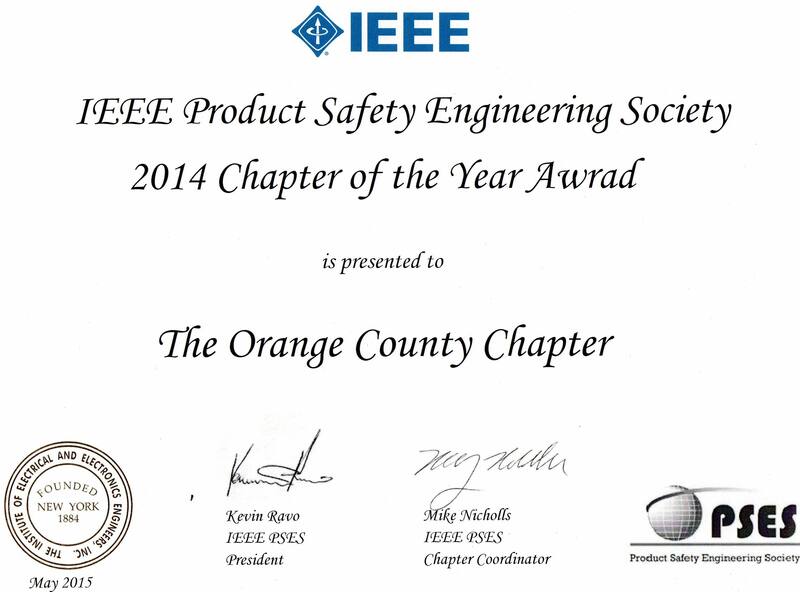 To learn about the IEEE Product Safety Engineering Society and it's activities, CLICK HERE. For infomation on becoming an IEEE Member, CLICK HERE. Click on JOBS above to view our new jobs! Mark your Calendar and RSVP Today! It's FREE! 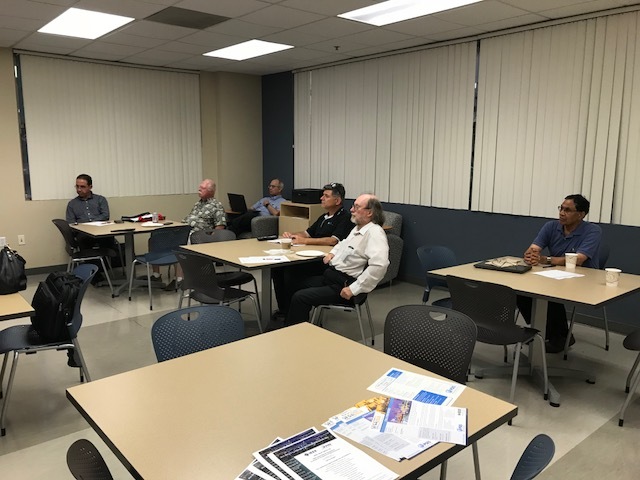 The Orange County, California Chapter of the IEEE Product Safety Engineering Society holds monthly technical presentations on cutting edge topics relating to Product Safety Engineering. The meetings are free, open to everyone, and typically include dinner. These meetings are a great place to network with other product safety professionals, expand your technical knowledge, keep up to date on the ever-changing safety standards, and enjoy a great meal with your colleagues. These meetings are a great forum to address questions we all have from time to time. Check out our Calendar page for the date of the next meeting!